Our BodyMinded Training Program is a unique blend of the study of human movement integrated with the practical application of Alexander Technique principles. The core principle explored throughout this program is Mind-Body Unity, in which every action is an action of the whole-self. Our scholarships applications have now closed! One full-time tertiary Music student and one scholarship for a full-time Music Teacher will be awarded by 22 December 2018. The scholarship places are for talented and motivated musicians that demonstrate their capacity to be upskilled in the BodyMinded approach and apply into their own performing and/or teaching practice. All instruments, genres and musical styles are welcome. There’s still time to enrol into BodyMinded 2019 – take advantage of our early bird rates! When you move, you move as a whole. There is a complex relationship of your physical structure (muscle, bones, nervous system) and your thinking (motivation, intention, goals, internal mapping of movement). BodyMinded training will help you to understand and navigate this complex landscape. In the BodyMinded Training Program you will learn the relevant anatomical & biomechanical information in an applied way. The course has strong theoretical and research basis, however is presented in a practical manner. No prior anatomy or biomechanical study is required. You will be able to apply your new knowledge and insights into your personal and professional life immediately. Australian research has revealed that 84% of professional orchestral musicians suffer injury that interferes with their performance. Proactive measures are always best to establish positive sustainable movement habits. Working with a BodyMinded approach gives you the foundation for a long career in music as a performer or as a teacher. Becoming a BodyMinded music teacher will give you confidence that your teaching is safe and healthy for your students. If you are struggling now with injury or pain then undertaking the BodyMinded training is likely to turn around your playing and bring back the joy! 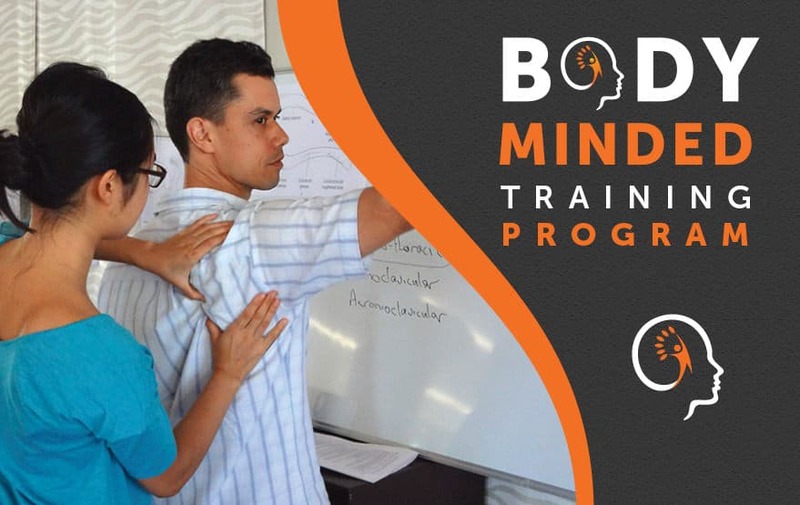 On successful completion of the BodyMinded training, graduates are permitted to use the BodyMinded logo and promote themselves as BodyMinded Professionals. 3. Available to attend all 12 workshop days in 2019, each workshop 9am – 4pm. Dates available in the BodyMinded information pack. There will be training workshops in Sydney and Brisbane. Sydney training is 3 intensives of 4 days each. Brisbane training is 3 intensives of 4 days each. All intensives are in public school holidays of the state they are held in. 4. Successful scholarship awardees will be give a 50% reduction in training fees, the remaining amount of $2250 will be payable (note: generous payment plan arrangements are available). 5. Successful scholarship awardee agree to be photographed and interviewed to promote the scholarship. 3. All applicants will be given feedback and told the outcome of the scholarship process by 22 December 2018. 5. Potential to positively contribute to a healthier music community using the BodyMinded approach.